We review the Aurora Firefly Beauty Box FBO50, a 50cm octagonal speedlight softbox from Aurora Lite Bank. 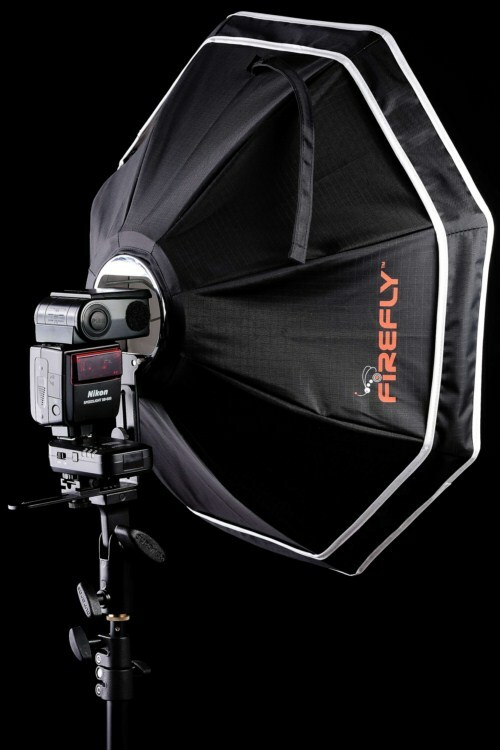 Korean manufacturer Aurora Lite Bank sent us the 50cm octagonal softbox from their Firefly range, the FBO50, to review. Here are our thoughts. For more information and technical specifications, please visit the manufacturer’s web site. In pictures, the Aurora Firefly Beauty Box looked like a lot of parts to assemble, but in practice it takes hardly any more time than setting up a swivel bracket with an umbrella. Everything about its design feels intuitive and well planned, and we have no complaints about the durability of parts. The umbrella mechanism is a chunky block of solid metal that does exactly what you want it to do. Packing it away is just as easy, and the Firefly comes with a nice case no larger than a boot bag that’s easy to carry around. At 50 cm across, the Firefly is not a giant light source, however it punches well above its weight. Because it is so compact, it can be positioned immediately outside the frame to provide the maximum angular diameter for the subject. Compared with, say, a 109cm reflective umbrella softbox, the Firefly FBO50 can effectively be “bigger” in some scenarios simply because there is no umbrella shaft to jut into the picture as you move the modifier closer. A light source such as this can be very useful for portraits. As shown in the catchlights of the photograph above, the Firefly’s diffuser has a silver “disc” sewn into the diffuser panel, designed to reduce central “hot spots” and create a wide, even spread of light. The resultant specular characteristic is like that of beauty dishes, hence the name “Beauty Box”. 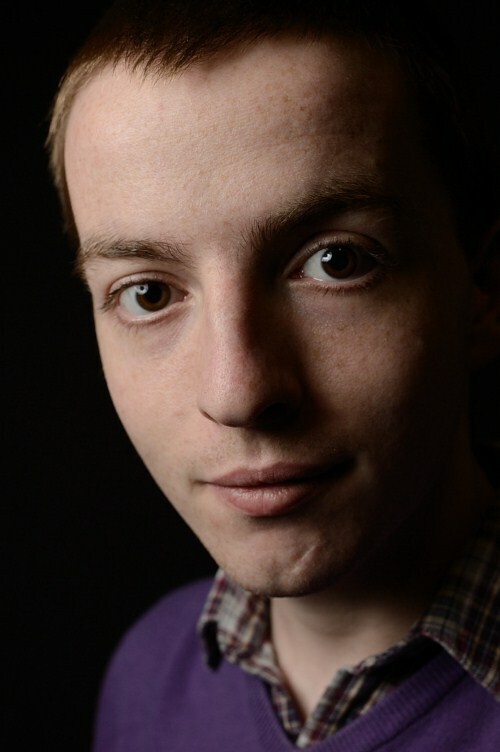 Indeed, this catchlight may inspire you to go for the much sought-after “ring flash effect”, which can be achieved with a small octabox like the Firefly by following these steps. The octagonal diffusion panel makes for a beautifully soft light, and should not be removed under any circumstances because there is no internal diffuser before it. However, this does not mean there is only one configuration for the Firefly, as an optional gold-centred diffuser panel is available for those photographers after warmer skin tones. Now, is all this worth the Firefly’s high selling price of £109? This is a difficult question to answer, or potentially a very easy one. Aurora Lite Bank have clearly put a lot of care and thought into the design and manufacture of the Beauty Box, and I dare say no photographer would be ashamed to own one. However, if portability is not your number one priority, the Firefly is not the most versatile modifier, especially as it can only be used with speedlights. What are the alternatives? The Westcott Apollo or Lastolite Ezybox Hotshoe go for the same sort of money, but are different modifiers in shape, assembly and versatility, so the final decision really is down to you. The Aurora Firefly Beauty Box available for £109 in the UK, around €100 in Germany and $159.95 in the USA. A worldwide list of distributors is shown on the Aurora Lite Bank web site. You can also buy the Firefly on eBay.